We had packed everything yesterday and it was a good thing we had. In our infinite wisdom we had celebrated our last night in Paris with one too many bottles of red wine. Sleeping in until the last minute, we met Julien at 10.30am to hand over the keys to the apartment and got in a taxi to Gare du Nord – the train station where we were boarding the Eurostar. The train station was absolutely beautiful and busy! 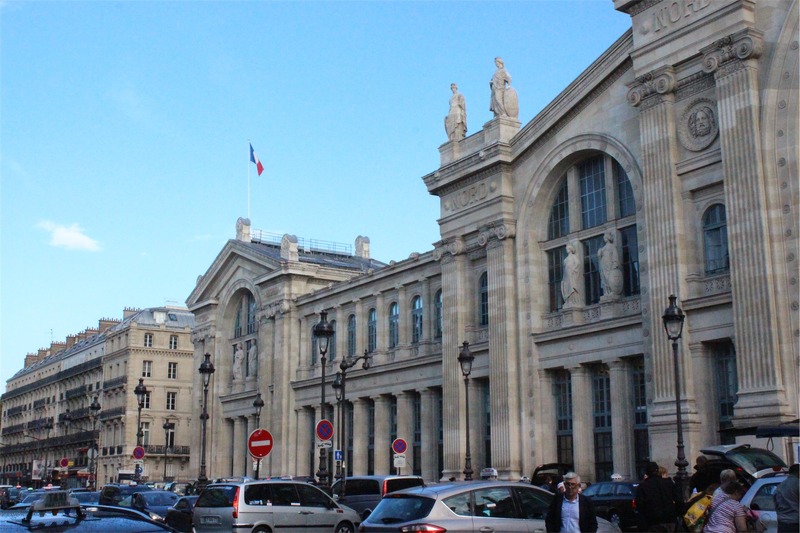 Approximately 190 million travellers per year pass through Gare du Nord making it the busiest in Europe! We had plenty of time to get some breakfast, check in, go through customs and board our train by 1.15pm. 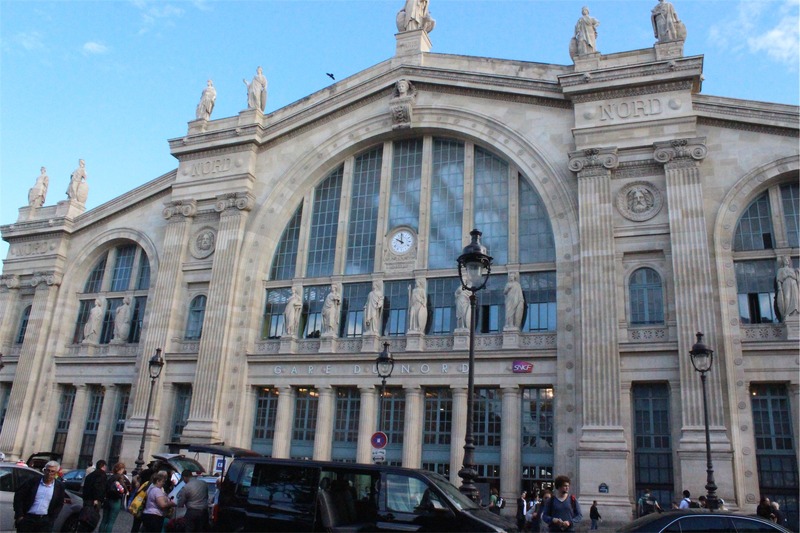 We were hoping that this Eurostar trip would be uneventful and on time – unlike our first experience. The trip was perfect arriving back at the London St Pancras station at 2.30pm. We were well on track to pick up the hire car that we would have for the rest of our adventure through the UK. And well, that’s when the wheels almost fell off. The person on the reservation desk at the hire car company was nervous that we were taking the car into Northern Ireland and on a couple of ferries. We went through the paperwork where we had made these arrangements clear, finally getting confirmation from ‘someone’ over the phone we thought everything would now be sorted. Unfortunately when the poor lady when to assign our car, it appeared it had been marked as not to be re-hired. The other piece of bad news, there were no more cars available for us. Ok at this point, Bec was thinking about plan B, and listing what dear friends we had in London we could approach for emergency accommodation. Two hours later and we were given the keys to our upgraded car – a brand new Audi A4 – thanks! Leaving London three hours later than expected, we made our way to our next destination – Ely. It was a 2 hour drive, but we were well behind and arriving before sunset was now not going to happen. It was strange being in a right hand drive vehicle and driving on the ‘other’ side of the road. Isn’t it funny how you quickly become accustomed to something that initially you’d think would always feel wrong. Arriving in Ely in the dark, we checked into the hotel, walked across the road and had dinner, taking our time looking over our plans for the next day.